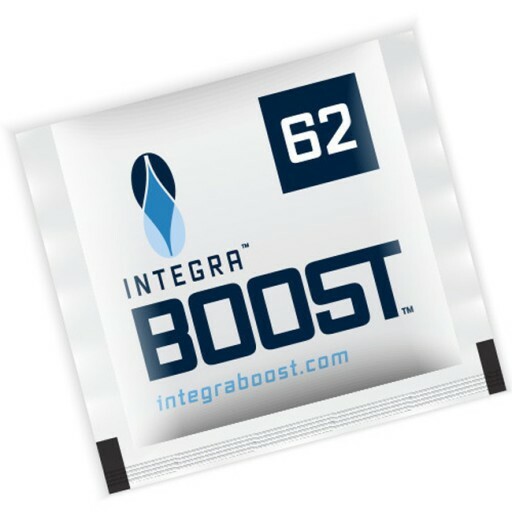 INTEGRA BOOST uses patent pending technology that releases or absorbs moisture, maintaining relative humidity in a contained environment. 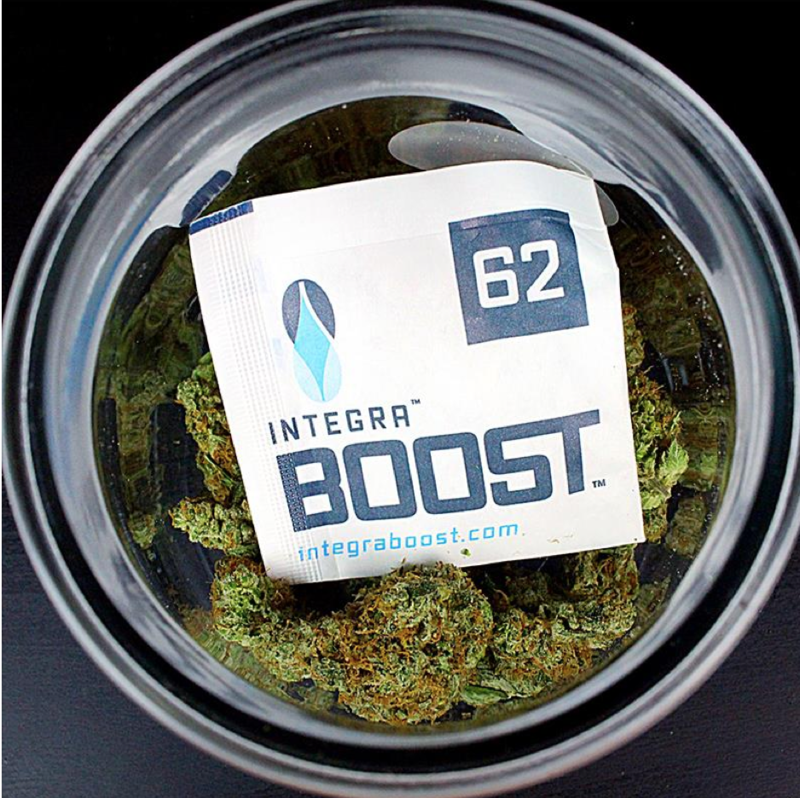 INTEGRA BOOST is the perfect humidity control solution, preventing mold growth, extending the shelf life and preserving the organoleptic qualities of your herbal medicine. 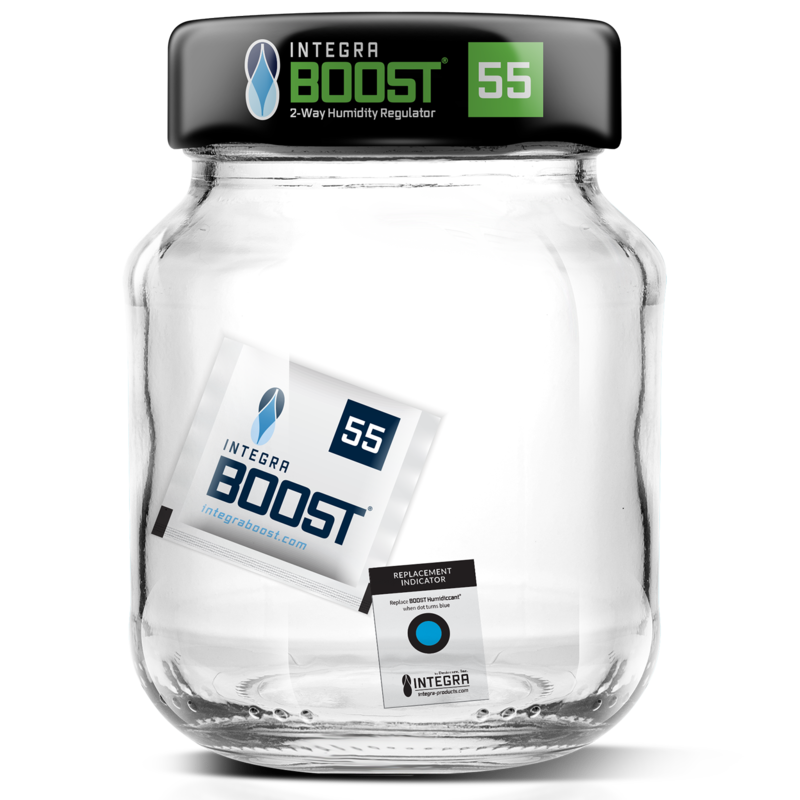 INTEGRA BOOST is also perfect for storing medicinal and recreational marijuana, cigars or other tobacco products. Don’t Risk Losing Your Perfect Cannabis To Mold! Controlling humidity is one of the hardest steps in the curing and storing process. Having too much humidity can lead to mold. Not enough humidity can over dry your buds and it will also stop the curing process. Humidity management has never been easier with INTEGRA BOOST. Eliminate the guessing game and regulate your humidity at either 55% or 62% inside any curing container. Extend shelf life without compromising quality and weight using INTEGRA BOOST. This smart patent pending technology will immediately adjust the humidity level at 55% or 62% inside your container, protecting your prized cannabis from drying. Offered In 55% and 62% R.H. Offered with or without individual over-wrapping and indicator cards. Also can be offered on rolls to be used with auto-insertion equipment for high volume applications. Why INTEGRA boost over competitors? Indicator Card gives visual indication product is working and when it should be replaced. Less monitoring and zero burping.